Thought this might make good fodder for a post. Maybe you’d want to mask his face before posting? Personally I’d leave it as is. Anyway, we can all agree: this person is gross. Yes, we can agree with Matt here. But I’m sure nail-clipping on Muni has its ardent defenders. As always, we’d love to hear from all sides. But remember: Play nicely. This is a never-ending epidemic! We Manner Ladies vented about this months ago and welcomed the camaraderie we encountered as a result. Repeat after us: nail clipping belongs at home. What’s “better” is the old women pulling the hairs from the moles on their face and neck. I admit to public nail/hangnail clipping on occasion. Sometimes a nail breaks and I just have to cut it right then, no matter where I am, because I know it will hurt like Hell if it tears. Maybe this guy had a nail emergency??? Sure, it’s possible. And I don’t begrudge you for clipping in such emergencies. My beef is with these serial-trimmers. The ones who go to town and perform their version of a mobile manicure. Um, no? Stop that. oh my god! one of my biggest MUNI pet peeves!! People have you no shame?! I find it really offensive and disgusting. One time some guy was clipping his nails on the J church and one of the clippings flew over across the isle-way and almost hit my foot. it was traumatic! 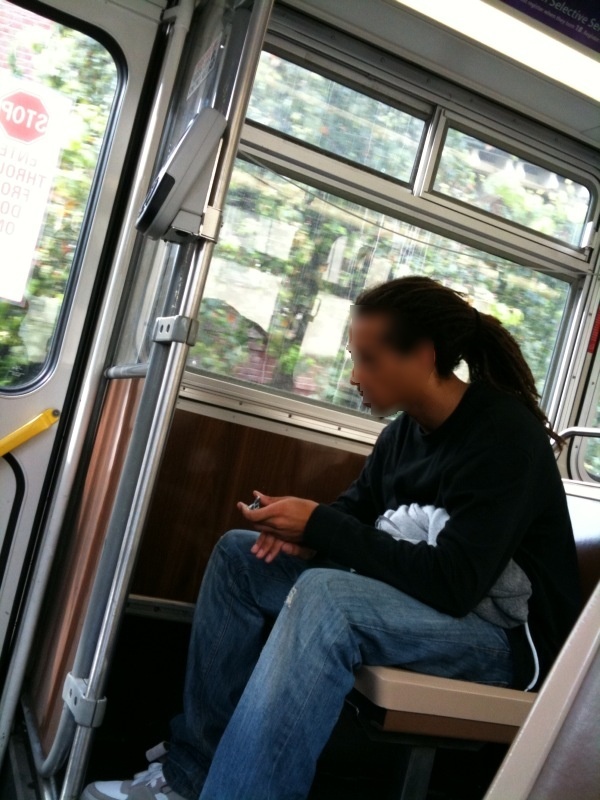 What about the riders who think Muni is the place to floss their teeth? Makes me throw up in my mouth a little bit.